Animal prints. Tailoring. Michael Jackson? Paris Fashion Week Men’s concluded last week, and in the wake of all the new trends, we’ve spoken to some of the world’s leading menswear buyers to see which pieces are going to translate from the runway to the shop floor in six months time. Here, we talk to Stavros Karelis, Buying Director of MACHINE-A, Lee Goldup, Menswear Buyer at Browns, Fiona Firth, Buying Director at MR PORTER and Damien Paul, Head of Menswear at MATCHESFASHION.COM. How was Paris Fashion Week Men’s FW19 and how did it compare to previous seasons? Stavros Karelis: I feel that there were more shows and it felt longer overall. There was much more to see but that didn’t necessarily translate to refreshing or new ideas, excitement, or progress. In most instances it was rather a natural development from the previous collections, with a few exceptions that made it worth it for me. 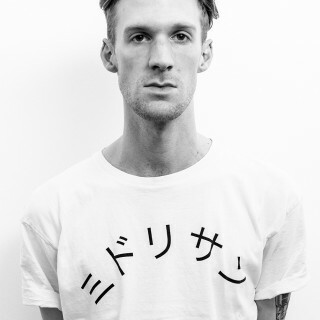 Lee Goldup: PFW this season was excellent, very hectic. There were tons of good shows and presentations and generally a very good vibe. It seemed busier than ever with all six days being full up. Fiona Firth: Paris Fashion Week was a highlight for me this season, with a number of standout collections shown. Paris truly marked the return of tailoring, with modern interpretations of classic suits and workwear styles presented by Dries Van Noten, Berluti and AMI, amongst many others. And while there were elements of sportswear threaded throughout a number of key collections, luxe fabrics, smarter silhouettes and chunky soles, hard shoes elevated this enduring trend and made for a strong showing from contemporary brands. Damien Paul: The good thing about Paris is it is always a mix of heavyweight designer stalwarts alongside a mix of new names, presentations and things to discover. This always keeps things interesting as I find myself traveling between runway shows and showrooms. I think this season has been especially inspiring for product; there seems to be an exciting shift in the air towards smart, elegant tailoring and away from the hyped streetwear pieces we’ve become used to in recent seasons. What were the strongest collections you saw? What are you most excited about and which brands are looking to pick up? Stavros: I think that Raf Simons diptych show was the ultimate winner. Raf Simons has started a huge trend that we will all see unfolding in the next seasons which is “couture for men.” His SS19 show was exactly this and stood opposite from anything else that was presented. This season Raf Simons explored the couture side of menswear with rich colors and fabrics, straight and elongated coats, modern mid-century pillbox headgear and beautiful accessories like cherries and flowers that hung from all the clothes. What really is striking is the fact that while everyone’s talking about Raf’s next move after Calvin Klein – and if he would do women’s at his own brand – I think he has found this perfect balance of direction on his own brand where couture (a symbol of women’s fashion), is applied to men, without compromising his ideals that this is ultimately a menswear brand where women and heroines like Laura Dern are the inspiration. Another collection I found extremely inspiring is 1017 ALYX 9SM by Matthew Williams. Matt has managed to achieve what very few have done so far; a luxury urban brand that is completely unisex and applies to different generations. 1017 ALYX 9SM is the epitome of what is currently in need and the ultimate goal of so many brands around, but Matt being a great creative mind found the perfect way to create this and I am sure this is just the beginning of a brand that will define our current times. Lee: Dior was the best for me hands down. I was also very impressed with ALYX’s second runway show. I really enjoyed Jil Sander’s and Issey Miyake’s shows too. Fiona: I enjoyed Alexandre Mattiussi’s use of color and his blend of casual and smarter pieces throughout the AMI collection. Dries Van Noten’s take on formalwear was a highlight and exceptionally styled alongside his standout knitwear and outerwear pieces. The craftsmanship and level of detail at Sacai was also particularly strong this season as was the collection presented by Takahiromiyashita The Soloist. Damien: I loved Raf Simons and felt the two-part show really worked, a division between the tonal and colorful looks was clear. I also liked the Lemaire presentation, seeing the product close up you really had time to appreciate the clothes – the art college setting felt relevant to the Lemaire man. At the other end of the scale Rick Owens had a brilliant show which was suitably moody and dark extolling his brilliant vision (and who knew that ABBA’s “Gimme, Gimme, Gimme (A Man After Midnight)” would make the perfect soundtrack for all of this?) Finally, everything about Loewe blew me away. What was the one standout FW19 item that you think will be big for next season? Stavros: Raf Simons leather boots with cherries, flowers charms and key rings attached, and ALYX leather platform boots with the infamous buckle on the side. 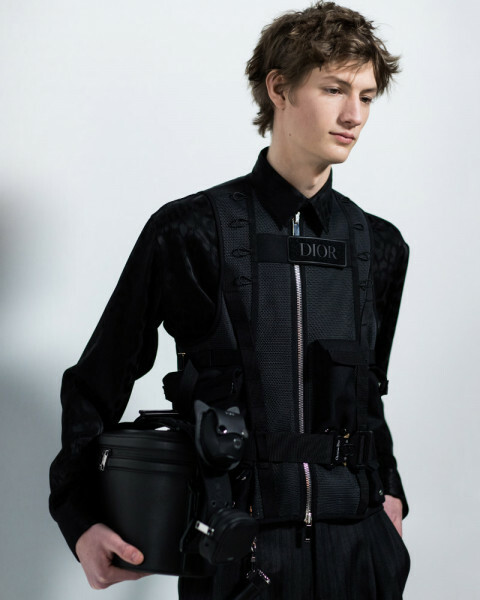 Lee: The utility vest from Dior was straight up fire. Fiona: The new volume suit is a key piece for Fall/Winter 2019 – think double breasted jackets, wider trouser legs and softer blazers that can be worn underneath a long-line padded coat. Damien: I think the standout garment from all the fashion capitals is a belted trench, preferably in black and made from leather. I’ve lost count how many times I saw this and it will be unavoidable come October. But it’s also a hugely practical piece of clothing and one that is worth the investment. Regarding footwear, the winner for FW19 has to be the boot.